Thank you for your interest to sell a laboratory-grown diamond to Ada Diamonds. 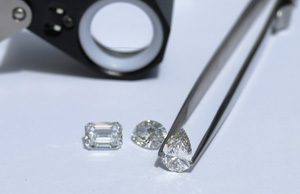 As stated in our terms and conditions, we purchase independently-graded, laboratory-grown diamonds of superlative quality, and each transaction is handled on a case by case basis. An Ada Diamonds team member will contact you via email shortly. You can expect a response within 1-2 business days of your submission. We look forward to working with you.